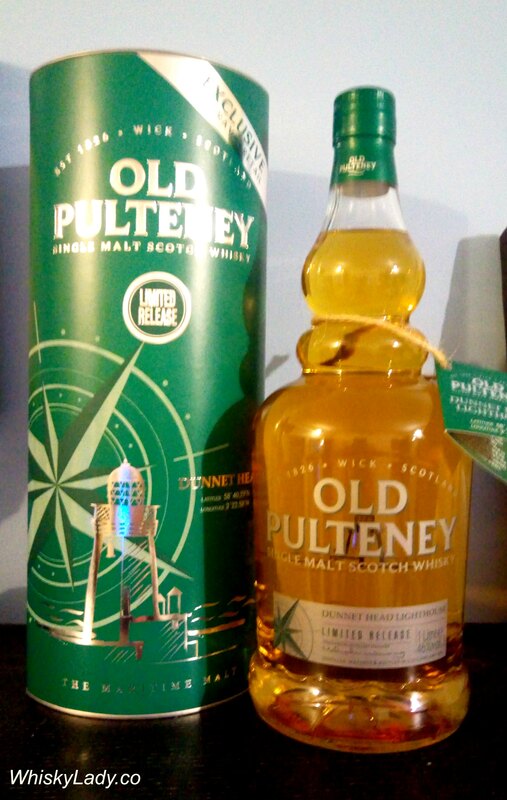 We continued with the Old Pulteney… And I have to admit this is one I’d had in my cupboard since the summer of 2017. I remember picking up the Old Pulteney at Heathrow airport. It was a morning flight and yet I did my “due diligence” sampling different drams at the World of Whiskies. What I won’t do for our Mumbai tasting groups! The whisky is part of their Lighthouse series named for the Dunnet Head lighthouse built in 1831 by Robert Stevenson (Grandfather of the author Robert Louis Stevenson). And what did our Whisky Ladies think? Palate – Yummy!! Has real substance and amazingly well-balanced with sweet spices, fruit – especially pear, lightly smokey with that caramel salt too. There was no doubt this whisky was a hit with our Whisky Ladies. Many remarked on how it was sooooo tasty! Nose – Warming and sweet, with notes of spices, bitter chocolate and a whiff of a freshly varnished deck. Lemon and creamy vanilla overtones offer balance and brightness. Taste – Rich fruit cake, sultanas and salted caramel give way to a touch of leather and fragrant floral top note; a long smooth finish. What else did we try that evening? This entry was posted in Highland, Scotland, Travel retail and tagged Dunnet Head, Old Pulteney, Old Pulteney Dunnet Head 46%, Travel retail by Carissa Hickling. Bookmark the permalink.